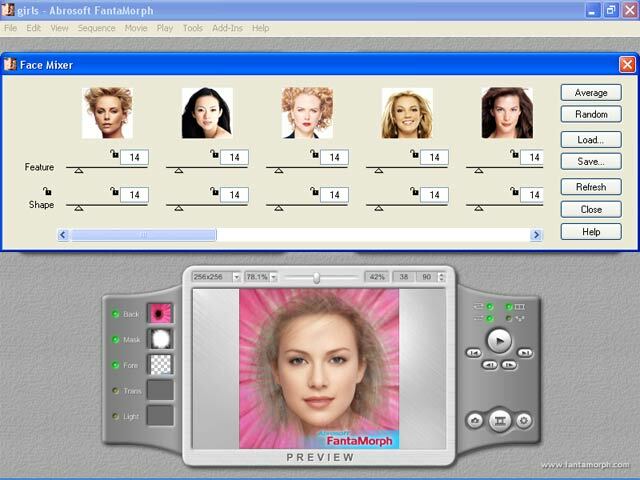 Abrosoft FantaMorph is powerful and easy-to-use photo morphing software for the creation of fantastic photo morphing pictures and sophisticated morph animation effects. With our revolutionary rendering engine and a super-friendly user interface, creating morphing pictures and action sequences has never been easier and faster! New dual view mode supports dual monitors. Each sequence can now have different effects. ...... You can crop, rotate, flip and adjust source image, all with FantaMorph's built-in tools, without having to go to any additional software. Qweas is providing links to Abrosoft FantaMorph Deluxe 5.2.8 as a courtesy, and makes no representations regarding Abrosoft FantaMorph Deluxe or any other applications or any information related thereto. Any questions, complaints or claims regarding this application Abrosoft FantaMorph Deluxe 5.2.8 must be directed to the appropriate software vendor. You may click the publisher link of Abrosoft FantaMorph Deluxe on the top of this page to get more details about the vendor.